PEARL HARBOR, Hawaii - Navy Region Hawaii, along with Commander, U.S. Pacific Fleet and the Office of the Chief of Naval Operations hosted a Resilient Workforce Summit at the Ford Island Conference Center Oct. 24-25. This year’s Resilient Workforce Summit theme was “Culture of Excellence – Living Signature Behaviors.” This summit is conducted on a two-year rotating schedule throughout the Pacific Fleet area of responsibility, giving Sailors the opportunity to directly interact with fleet program directors and subject matter experts about leadership and personal behavior, creating a culture of dignity and respect, and suicide prevention, operational stress control, and other Navy programs. 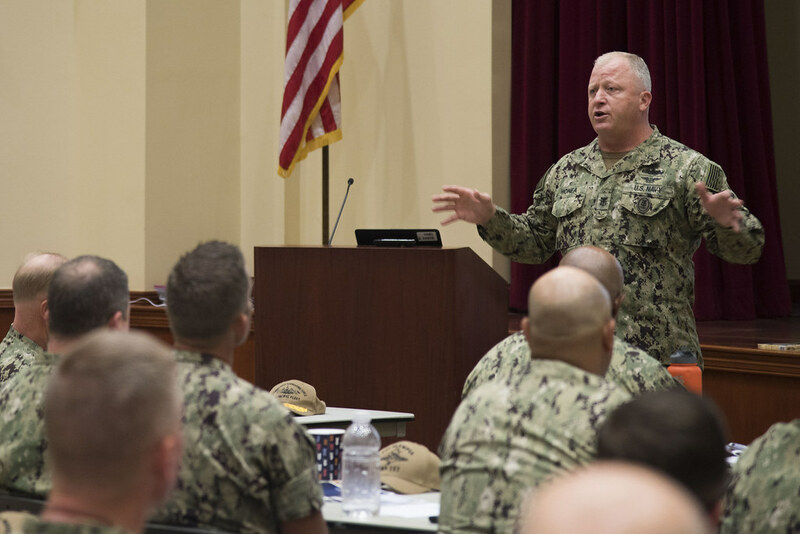 During the Summit, U.S. Pacific Fleet Master Chief James Honea, also addressed Sailors about the importance of the summit and how lessons learned at the individual level contribute to overall mission success. "When you're talking about your at-risk Sailors or those that need more attention, those are the opportunities to make sure that we're doing the right thing as leaders, said Honea. We need to do right by them and get them the help they need. That's what these workshops are designed to do, to help us build on those tools." Following Honea’s remarks, a panel of experts took the stage to answer questions on a variety of topics, including equal opportunity, sexual assault prevention and response, physical readiness, and other Navy programs. He thinks the subject matter experts, from the different Navy programs will be one of the most tremendous tools they will receive. The Resilient Workforce Summit will continue to spread awareness on these different topics throughout the world’s largest fleet command. The U.S. Pacific Fleet consists of approximately 200 ships, submarines, nearly 1,200 aircraft, and more than 130,000 Sailors and civilians. For more information on suicide prevention, please visit http://www.veteranscrisisline.net/.